"The Obama administration has once again listened to the bishops instead of to Catholic voters on a matter that deals with both women’s healthcare and religious freedom,” said Jon O’Brien, president of Catholics for Choice. “Thousands of women will be left without contraceptive coverage as a result of a compromise that the government has made with ultraconservative religious leaders.” Speaking about the final rule on women’s preventive services announced today by the Department of Health and Human Services, O’Brien deplored that the administration caved to religious leaders who do not represent the people they purport to lead. “Today, the administration exempted some employers from providing healthcare for their employees that experts agree is critical and that every other woman in the US now has access to at no cost. The rationale for the exemption flies in the face of the facts and takes healthcare decisions away from women and their doctors, giving this power to employers instead. “The new rule implementing the Affordable Care Act and its provisions for no-cost contraception exempts certain religious employers because, the administration claims, their employees are likely to be people of the same religion who will therefore agree with their employers and not use contraception. This is an assumption that neither the administration nor an employer has any right to make—and, at least for Catholic women, it is an assumption that is dead wrong. “The Catholic bishops are vehemently opposed to contraception and have spent untold sums to get the government to allow them to discriminate against their employees by denying coverage. But we know that 98 percent of sexually active Catholic women have used a method banned by the bishops. There are no legal barriers to providing contraceptive coverage with no exemptions; several states already do it, including Wisconsin and New Hampshire. Women who live in those states will continue to be able to follow their consciences without interference from their employers—no matter who they work for. Sadly, when it comes to other places, the administration did not examine the evidence and decided to instead cede to the demands of ultraconservative religious leaders. That’s bad practice, bad policy and bad precedent.” View this press release on the Catholics for Choice website. ..."Nunzio Scarano, known as "monsignor" in recognition of his seniority at the Holy See, is accused of fraud and corruption for plotting to illegally fly 20 million euros ($26 million) in cash into Italy from Switzerland. The 61-year-old was arrested along with a former member of the secret service and a financial broker after an investigation into the Institute for Works of Religion (IOR) -- as the Vatican bank is known -- raised suspicions he was involved in money laundering...."
"Catholic Women Ordained as Priests"
Bishop Tom Gumbleton Calls for Women Priests as a Way of Listening to Jesus/ Bishop Joins Holy Shakeup! "I'll say something else that I think is very pertinent right here and now in this church. This church would not be closing if we were recognizing that we have new life in Christ -- neither male nor female in Jesus, everyone could be called to ministry. There would be no shortage of ordained ministers because Jesus has taken away that distinction, even between male and female. Every person is qualified to be another Christ celebrating the holy Eucharist at the altar. We would have plenty of ministers if we would just be listening to Jesus and following his way." 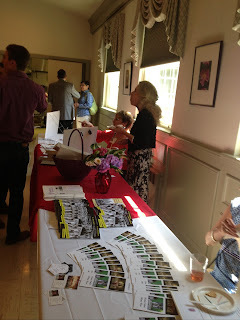 Thanks Giulia Bianchi for an inspirational book of our historic ordination of women priests in VA.
..."To me it looks like the traditional Vatican approach to dealing with a PR problem: Appoint a committee, mostly clerics, who have no expertise in the topic under study and ask them to come back with a report. Sorry, we expect more from this papacy. To be effective, the papal commission should have been composed of people with expertise in banking, such as accountants, bank board members, and government investigators and regulators. How many people on this commission even know what forensic accounting is? There is no need for any clerics on such a commission. Examining a bank is not a job for amateurs. I must confess that I hold a minority view. I believe that the Vatican bank problem is on its way toward solution thanks to Pope Benedict’s decision that the Vatican has to observe the standards set by Moneyval, the European agency dealing with money laundering...."
Last week Cardinal Sean O'Malley barred internationally recognized priest-shortage activist, Fr. Helmut Schuller, from speaking on Catholic property in Boston. 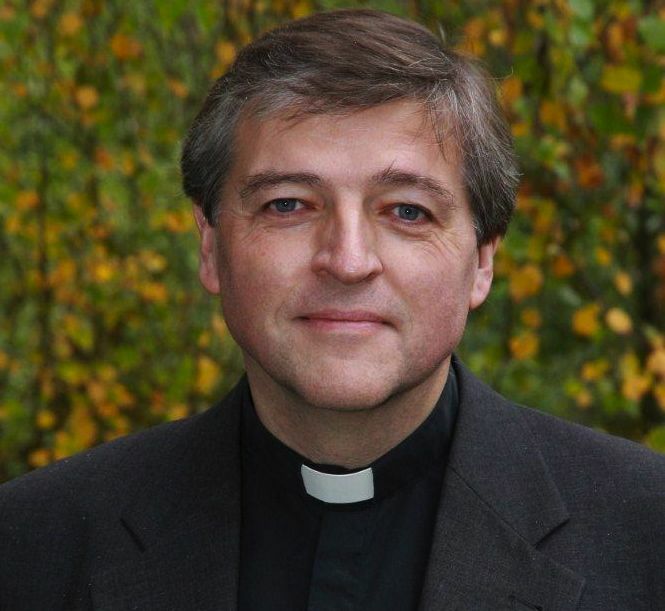 Schüller is scheduled to speak on July 17 as part of a national The Catholic Tipping Point tour to 15 U.S. cities sponsored by ten progressive Catholic organizations, including FutureChurch. The Boston Archdiocese is downsizing its 288 parishes into 135 clusters because of a severe priest shortage. It is surreal that discussion of creative solutions to the clergy crisis are now being "banned in Boston" (though local organizers quickly relocated the talk to a nearby venue). Church infrastructure shrinks as Austrian priests tours U.S.
What Catholics know about power. Please do keep Fr. 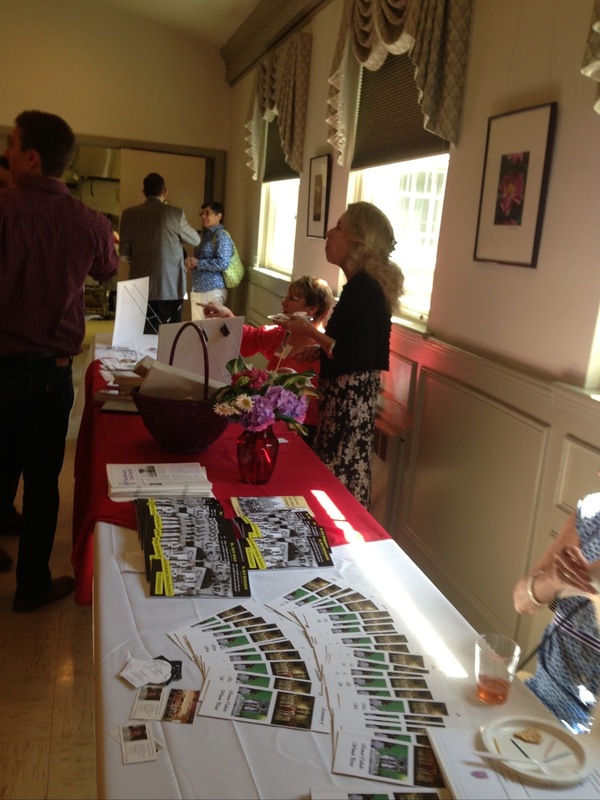 Schüller and all of our local and national sponsors in your prayers. PS..Fr. Schuller's presentation is being digitally videotaped midway through his visit. We plan to make it avaialable online for those unable to attend. And The Voice of the Laity"
New York Times: With New Pope, Spotlight Returns to a Mild but Rebellious Priest March 22, 2013. By striking down the unconstitutional Defense of Marriage Act, the Supreme Court took an important step toward equality today. The Supreme Court decision is a major victory for justice and equality for GLBT. Let us rejoice and give thanks! 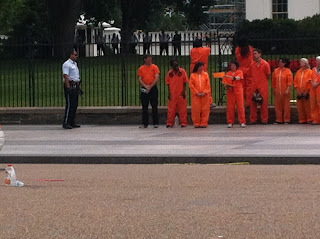 On Wednesday, June 26th, 140 days into the hunger strike and forced feedings at Guantanamo, members of Witness Against Torture – in orange jumpsuits and black hoods – gathered with CODEPINK and human rights activists in front of the White House under a sweltering sun. 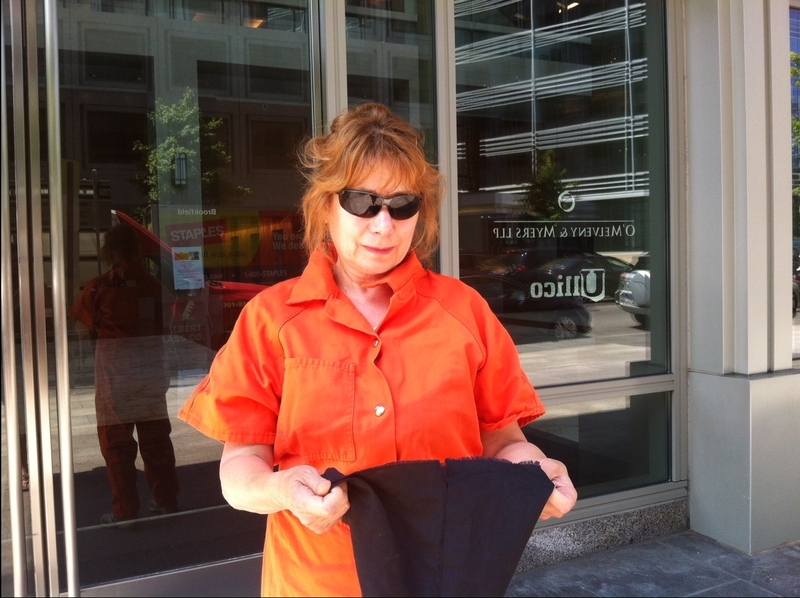 We were calling on President Obama to honor his May 23rd statement in which he promised the closure of Guantanamo prison and the clearance and transfer of the 86 men being held there. We agree with President Obama that “GTMO has become a symbol around the world for an America that flouts the rule of law. 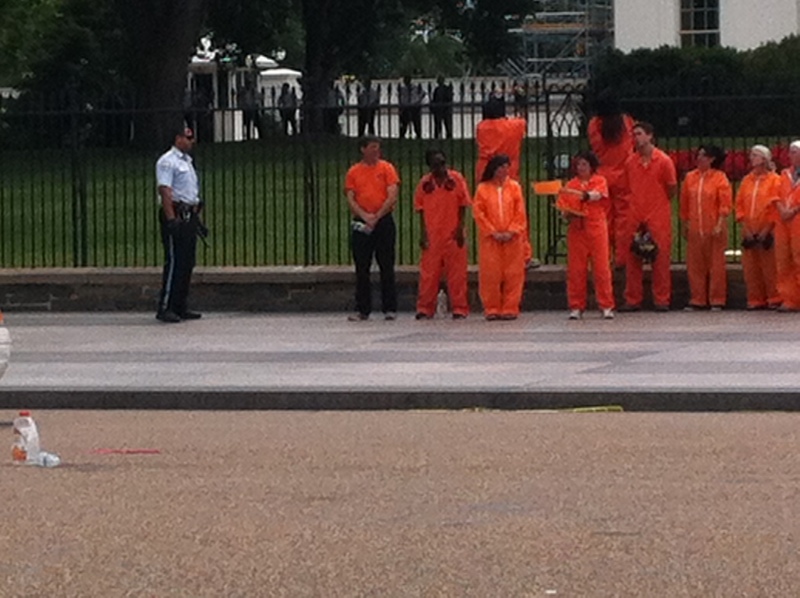 “ We ask the President to end indefinite detention and close Guantanamo. “He must renounce the unprecedented, illegitimate, and increasingly discredited Military Commissions as an unacceptable substitute for true duce process; and he must reject any policy of indefinite detention without charge or trial, and commit to bring credible suspects within a proper judicial system,” said WAT’s Matt Daloisio, a third year law student. During our witness -- in a voice for all to hear – I shouted out the deeply touching poems written by some of the Guantanamo prisoners. We sang “Ubi Caritas” and “The Prayer of St. Francis.” As the police gathered to arrest us, I read the names of the prisoners. Then, we women who remained danced in a circle singing joyful songs of peace. A total of 23 activists were arrested during the witness. As we were being handcuffed and taken to the Anacostia Police Station we carried the hope that our brothers in Guantanamo would learn that they were remembered. At the police station we were ordered to sit on the curb and several of us women had to be helped by the police officers to do so as we were still in our highly constricting handcuffs. However, the officers showed compassion by holding a cup to our lips and giving us water as we were thirsty from the heat. We were padded down and placed five or six in a cell with an open toilet, processed and released. We all chose to go to trial rather than pay a fine. This way we might have the chance to publicly speak to the judge about how Guantanamo is a violation of human rights and our Constitution. Midwest Region ordination on June 23 in St. Cloud, MN. Our new priests are Martha Sherman, Corene Besetzny, and Bernie Sykora. "When your religion says you cannot do something because of your gender, do it anyway. At least that is what five Catholic women in Falls Church, Va. did on Saturday when they were ordained as priests and deacons -- against the rules of the Roman Catholic church that sees ordaining women as heresy -- according to WJLA. "In the theologically grounded tradition the priesthood passes through man. The woman has another function in Christianity," Pope Francis wrote in his first book, "On Heaven and Earth." 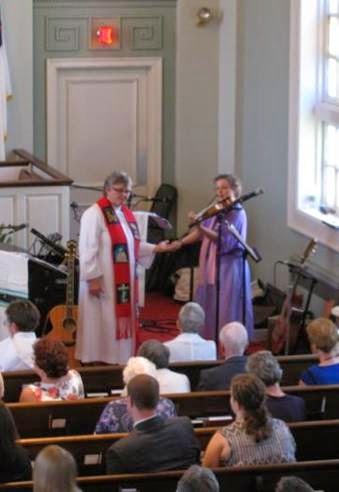 But that didn't stop women like Joleane Presley of Manassas from joining fellow female Catholics at the First Christian Church to be ordained, just like men. 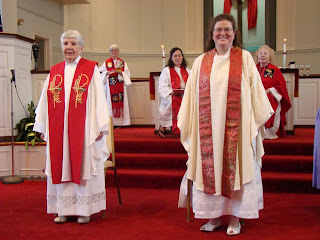 Presley and the other ordained women are part of the growing Association of Roman Catholic Women Priests, a movement within the Catholic church that espouses "full equality for all within the Church as a matter of justice and faithfulness to the Gospel," and in order to do so, oversees the ordination of female priests, deacons and bishops. "Women are answering God’s call and justice is rising in the Roman Catholic Church," Bishop Mary Meehan told WJLA. Although the women believe their ordination is legit, a statement from Bishop Paul Loverde of the Catholic Diocese of Arlington denounced the Northern Virginia ceremony. "The church does not have the authority to change her doctrine on the Sacrament of Holy Orders, which has been passed down... from our Lord Jesus Christ... It is a great sadness when Catholics choose to reject the truth of the Faith... I pray for their return to the fold," he said, according to WJLA. And while Loverde and Pope Francis may not sanction female ordination, the concept comes with plenty of support in the United States. A 2010 poll by The New York Times and CBS found a large majority -- 59 percent -- of Catholic Americans support the ordination of women. And perhaps more important, Presley and the other women ordained in Virginia have the support of those who care about them. "Women have a right to be ordained. It’s not just a man’s game." Presley's husband William "Scott" Presley told WJLA." Even though the Roman Catholic Church has a new pope, there’s no sign of a change in letting women be priests. But over the weekend, a group of five women openly defied the church. At the First Christian Church in Falls Church Saturday, several women were ordained as deacons and priests. One of them was Joleane Presley of Manassas. Presley, a chaplain at Adventist Rehabilitation Hospital, is married to a Methodist, but she said she couldn’t give up her Catholic faith. 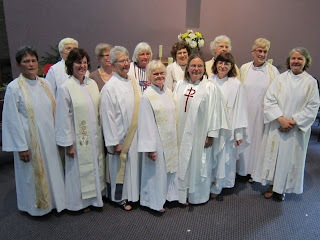 She has joined the Association of Roman Catholic Women Priests movement. Small but growing, it claims women were clerics in the early church. “Women are answering God’s call and justice is rising in the Roman Catholic Church,” says Bishop Mary Meehan. But the church considers the attempt to ordain women heresy, and that the women taking part are automatically excommunicated. Presley’s family from Massachusetts supports her, as does her husband, William "Scott" Presley. Presley doesn’t know what the fallout will be, but she says she is ready. "The church does not have the authority to change her doctrine on the Sacrament of Holy Orders, which has been passed down... from our Lord Jesus Christ... It is a great sadness when Catholics choose to reject the truth of the Faith... I pray for their return to the fold." Would you like to contribute to this story? Join the discussion. This has been done and still is done by the Catholic Church ever since the third century, when the Catholic Church ordained that a woman cannot be a priest for instance but a man can. A woman can be a nurse or a teacher but she can’t be a priest. This is wrong, I think. There is a small but growing movement of dissident Catholics that is ordaining women as priests outside of the official Catholic Church hierarchy. According to a New York Times/CBS News poll, seventy percent of U.S. Catholics believe that women should be allowed to be priests. Carter also lamented the backward movement of his former denomination. In the last decades, the Southern Baptist Convention reversed its former gender equality policies around the ordination of women, which Carter cites the reason he and his wife Rosalynn left the denomination. We rejoice because five courageous women will be ordained today. Joleane Presley and Barbara Duff will be ordained priests. 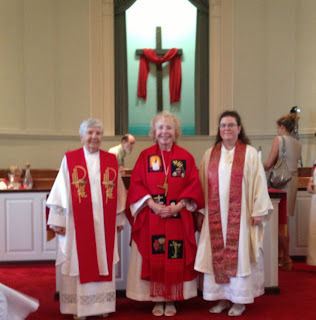 Marianne Smyth, Mary Collingwood and Mary Theresa Streck will be ordained deacons. There is no shortage of vocations. Women are answering God’s call and justice is rising up in the Roman Catholic Church! In 2013 the Association of Roman Catholic Women Priests celebrates ordinations in Kentucky, Ohio, Virginia, New York and Florida. 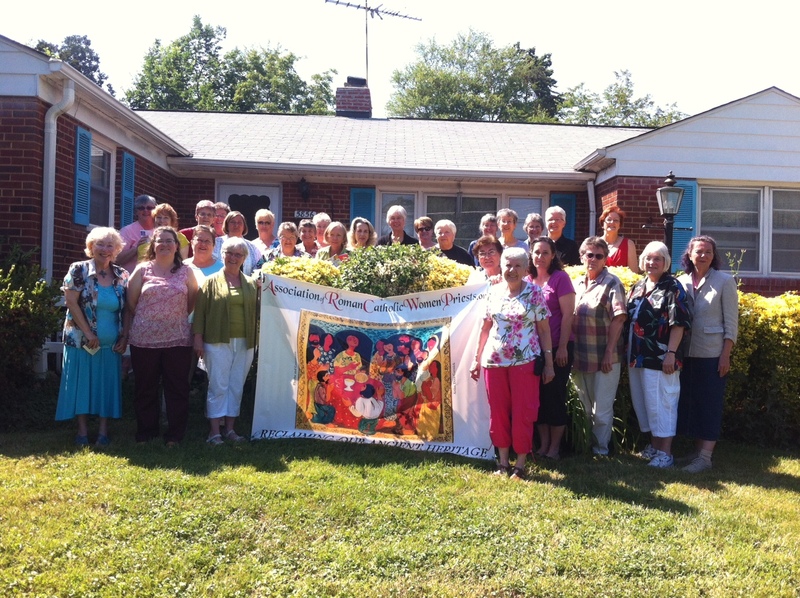 These women join more than 150 in our international Roman Catholic Women Priests Movement that began when seven women were ordained on the Danube River in 2002. 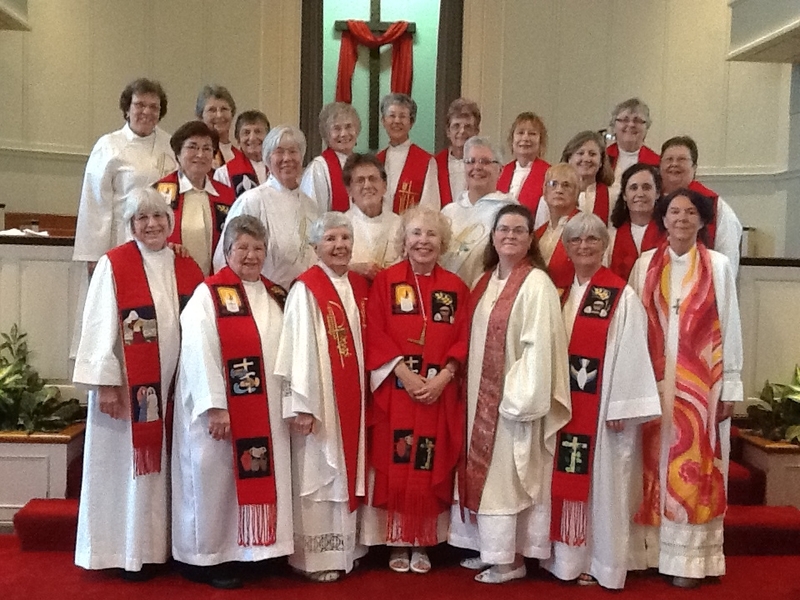 Women Priests in the United States now serve over 60 inclusive Catholic communities. We are in 30 states in the United States, Canada, South America and Europe. According to a recent CBS/Gallup poll, 70% of Catholics in the United States support women’s ordination. In addition, male priests are expressing their solidarity. 400 Austrian priests, 300 German theologians and 800 Irish priests have endorsed women’s ordination. Maryknoll Roy Bourgeois, Franciscan Jerry Zawada, Jesuit Bill Brennan, Redemptorist Tony Flannery, the Irish Priests Association, and the Austrian Priests Initiative have endured condemnation and punishment by the Vatican for their support of the Women Priests’ Movement. For some, like the hierarchy, the growing acceptance of women priests is a spiritual revolution, but I prefer to call it a holy shakeup of the Liberating Spirit in our midst! Did you hear about the latest trial balloon floated by the German bishops of an unordained diaconate for women? It could become a new Women’s Sodality dealing with “Linen and Things”! Now the church is at a crossroads with a new pope and women priests. Five hours before Francis was elected Janice Sevre-Duszynska, one of our women priests who is with us today, presided at a Eucharist in Rome with other activists who support women’s ordination. It is a joy to report that generous folks, like you, in grassroots communities donated money to send Janice to Rome to represent our movement. Thank you! Amen, Pope Francis, like the Easter women, the Risen Christ is sending us to celebrate the good news that we are all sacraments of God and every moment of life is filled with the Divine. Although our new pope has not requested my advice. I’d like to offer it anyway. Call a Council of the People of God and appoint some top feminists like Elisabeth Johnson, Joan Chittister, Elsie Tamaz, and some of the nuns on the bus like, Sister Simone Campbell, to the top jobs in the Vatican Curia! One of my favorite women in the Gospels is St. Mary of Magdala, apostle to the apostles. Even though the male apostles, except John, deserted Jesus in his hour of need, Mary and the women were there at both the cross and the tomb. The guys didn’t believe the faithful women when they reported that Christ had risen. Like Mary of Magdala, contemporary women still encounter disbelief and rejection from church authorities. Women are still second class citizens in our own church. Sexism, like racism and classism, is a sin that breaks our hearts today. More than ever we need the experiences and wisdom of women if our church is to become more whole, more balanced, more human. Two-thirds of the poorest of the poor in our world are women. We must advocate for justice for women in areas like equal wages for equal work. If women priests were decision makers in the institutional church, issues like contraception would be no-brainer! Of course, the ban on contraception would be lifted by the majority of Catholics, but not by an all male, celibate hierarchy! The Roman Catholic Church hierarchy should follow the example of the Risen Christ, who called Mary of Magdala to be the apostle to the apostles and who treated women as equals. In Romans 16:7, St. Paul praises Junia and Andronicus, a married couple, as “outstanding apostles” who were in Christ before he was. Since Paul, Junia and Andronicus were apostles, there were more than 12 apostles. The “twelve” was a symbolic number referring to the twelve tribes of Israel. Gary Wills, a prominent Catholic scholar, in his new book, Why Priests: A Failed Tradition? , states that Jesus was not a priest, and that neither Peter nor Paul were priests or bishops. There were no priests or bishops in the early Jesus movement. He reminds us priests do not have magical powers or exclusive control of the sacraments, rather it is the community of believers who celebrates sacraments. St Augustine taught that the mystical Body of Christ gathers around the table and is on the Table. As part of an international Roman Catholic Women Priests Movement, the Association of Roman Catholic Women Priests works for justice and equality for all on the margins in solidarity with other reform groups to move the church from a paradigm of priestly ministry that is hierarchical and clerical to a community of equals that is circular, empowered and rooted in the ministry of the baptized. It is my hope that we will promote healing of centuries-old misogyny in our church. We are ordained in apostolic succession because our first bishops were ordained by a male bishop with apostolic succession, therefore our orders are valid. We are disobeying an unjust, man-made canon law, 1024. The unnamed male bishop, who ordained our first women bishops, told Patricia Fresen that he was ordaining her a bishop, not for her, but to promote justice in our church. Utilizing equal rites to achieve equal rights, women priests are visible reminders that women are equal images of God and that our God has a feminine face. In this liturgy today we integrate the powerful feminine image of Christ Sophia in our prayer and song. Thanks to our music director, Kathleen Rosenberg, for the beautiful musical mass of Christ Sophia. The Greek word for Wisdom is Sophia. The New Testament identifies Christ with the wisdom of God. “…to those who are called… Christ is the power and the wisdom of God.” (1 Cor. 1:24) The connection in scripture is made between the crucified Jesus of Nazareth and the cosmic risen Christ in Christ-Sophia. Today Christ Sophia’s prophetic voice rises up in the poor and marginalized in the global South reminding us that “injustice anywhere,” as Martin Luther King said, is “a threat to justice everywhere.” We are honored to have Olga Lucia Alvarez, one of our priests from Colombia, with us today, who works with base communities living God’s liberating love and justice on the margins. 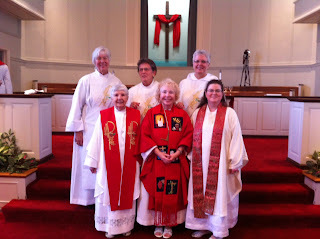 Now we ordain our Sisters, Joleane, Barbara, Marianne, Mary, and Mary Theresa. Like St. Mary Magdala, the apostle to the apostles, these priests and deacons will proclaim the good news of God’s enlivening presence with us in our work for justice and equality in our church and world. 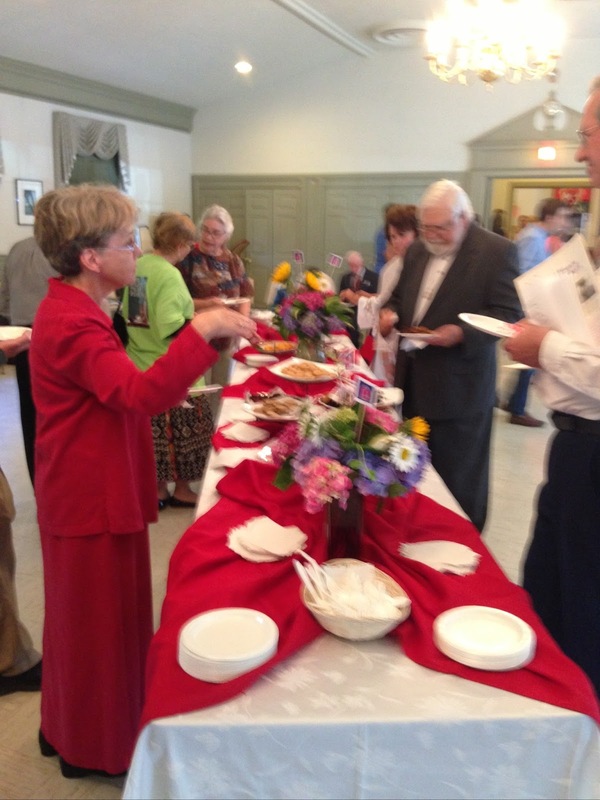 They will serve with their sisters and brothers at Christ Sophia’s Abundant Table of Boundless love for all. Let us rejoice with Joleane, Barbara, Marianne, Mary and Mary Theresa as they are ordained by the Association of Roman Catholic Women Priests today! Bridget Mary Meehan, D.Min., a Sister for Christian Community, was ordained a Roman Catholic priest in Pittsburgh, Pennsylvania on July 31, 2006. Dr. Meehan is currently Dean of the Doctor of Ministry Program for Global Ministries University, and is the author of 20 books, including Praying with Women of the Bible, and Living Gospel Equality Now: Loving in the Heart of God.